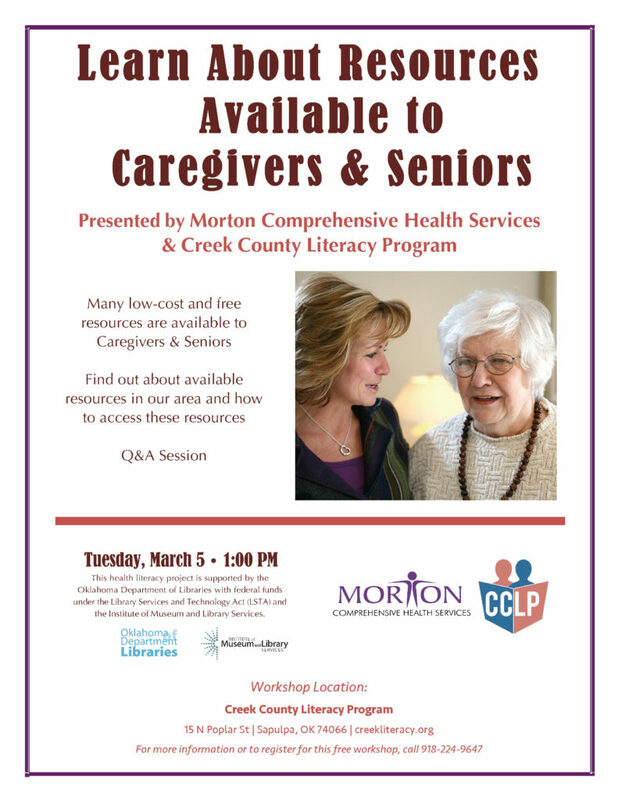 Morton Comprehensive Health Services will be hosting a program for caregivers and seniors at the Creek County Literacy Program, 15 N. Poplar St., Sapulpa, OK, on March 5 at 1 p.m. Representatives from Morton will share information and resources for providing support services for family and friends in need of caregiving. For more information, call (918) 295-6154 or mrains@mortonhealth.org.